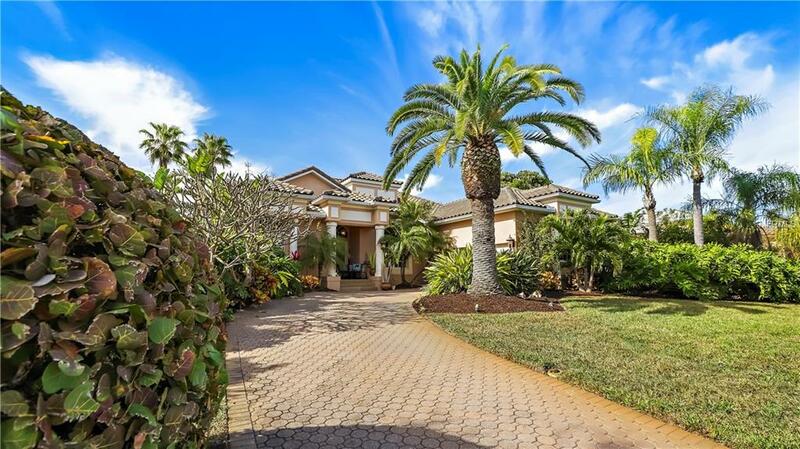 Absolutely stunning 4 bedroom 3 bath island home in Tierra Verde! This highly desirable split bedroom floor plan just cant be beat including a private guest quarters with access to the pool area. 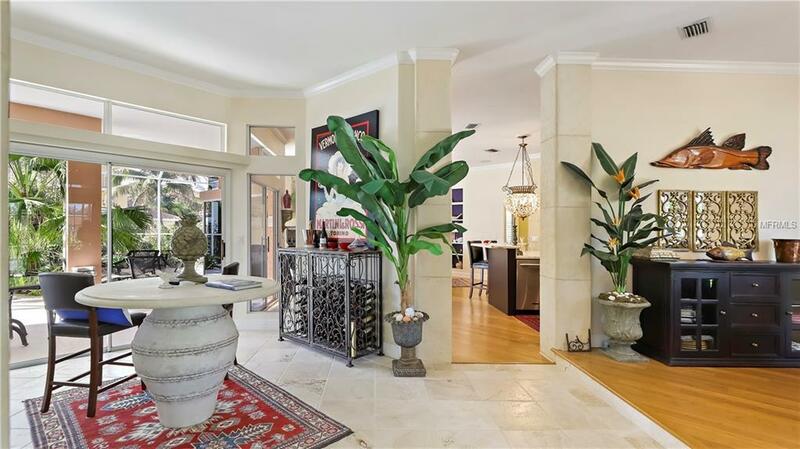 Youll feel welcomed the moment you walk up to the double glass door entry and into the impressive foyer and formal living area featuring travertine floors, crown moldings, volume ceilings and floor to ceiling windows beholding views of the tranquil pool area. 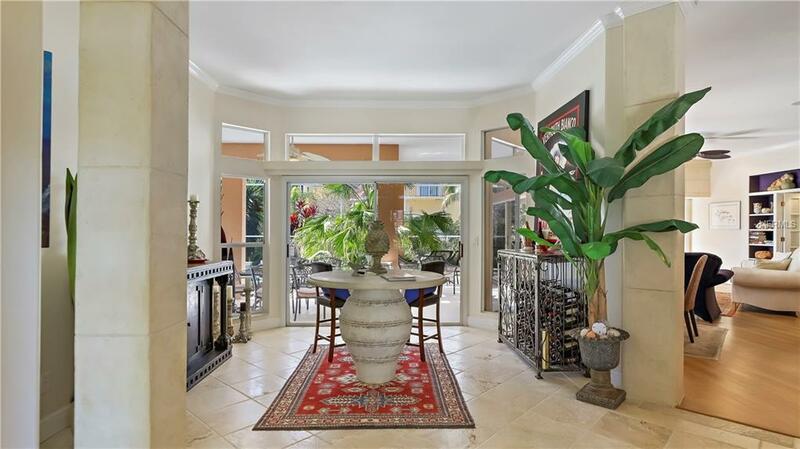 Many high end improvements include a gourmet kitchen highlighted with modern shaker style solid wood cabinetry, a large island with breakfast bar, a butlers pantry, gas cooking and exquisite marble counters one normally finds only in multi-million dollar homes! This home lives larger than its 2400SF+ layout as the volume ceilings, walls of sliding doors and high transom windows offer an expansive feel. 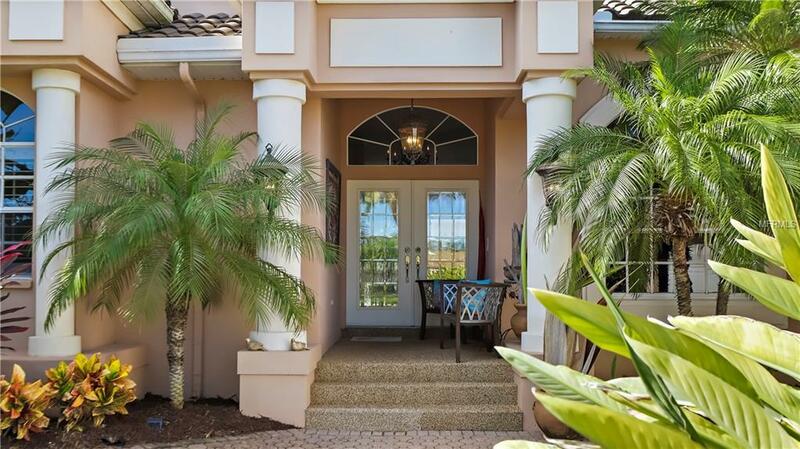 The master retreat includes bamboo flooring, sliding doors to the covered lanai, walk in closet and gorgeous master bath that includes lots of white cabinetry a separate tub and shower. Additional notable improvements include a $40,000 tile roof ( 2012), newer A/C, outdoor kitchen, surround sound, refinished pool, bamboo flooring, designer lighting, newer appliances and much more! Whether you are looking for a full time residence or second home, this home offers an easy single story layout located just 30 min from TPA, a short drive to downtown St Pete and two nearby marinas on Tierra Verde offer convenient storage for your water toys!